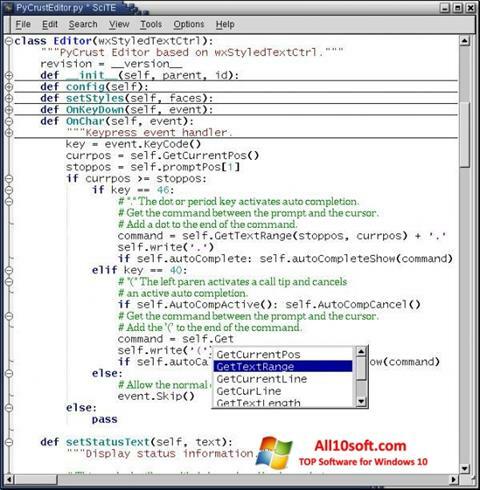 SciTE for Windows 10 is a text editor that programmers use. It collapses the code, provides syntax highlighting. Available simultaneous processing of multiple files, provides support for all programming languages. Compact application does not need to be installed, it is possible to start from a flash drive. You can search and replace sections of text, create bookmarks, highlight indents. Unicode character recognition is possible. Management is carried out from external scripts. It provides for the export of objects with a large selection of extensions. One working window can include many tabs. You can free download SciTE official latest version for Windows 10 in English.